Above rates have assumed certain Cost of Italian Marble. Commonly, Italian Marble range from Rs 300 to Rs 2000 Per Sq. 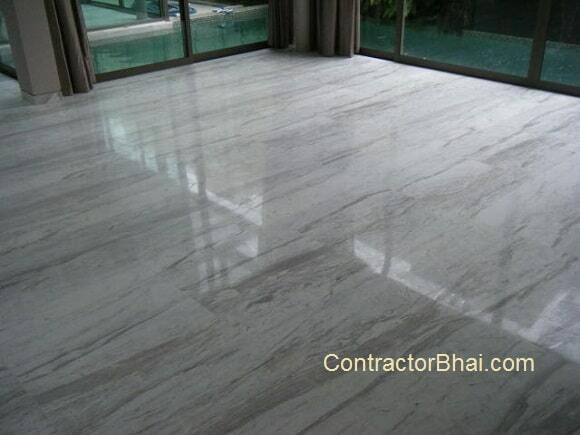 Ft.
Italian marble are bigger in size, but while fixing on floor they are cut in 3 Pcs. As its very difficult to install in bigger size. Italian Marble is softer than Indian Marble, requires skills and caring during fixing. One common question Home Owners have is whether to go for Marble Flooring or go for Vitrified Tiles Flooring. 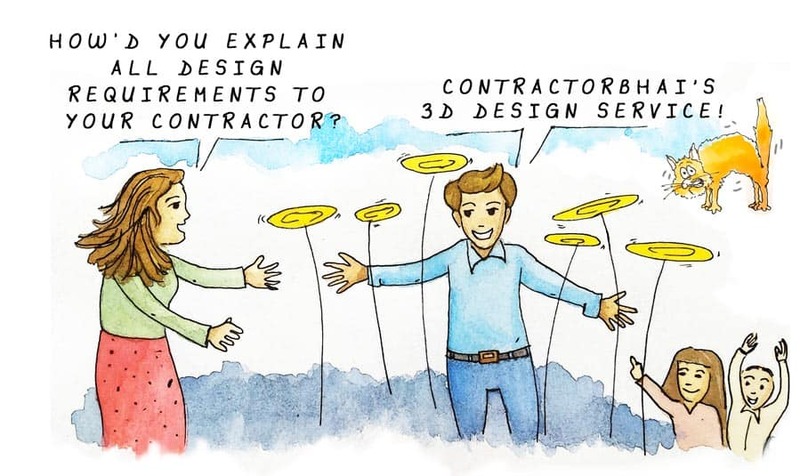 As part of “ContractorBhai 3D Interior Design Service” we study their choice & budget. If you wish to have natural product for flooring then marble is way to go. Vitrified Tiles allows you to get variety of colours & texture within budget, but they are not natural.